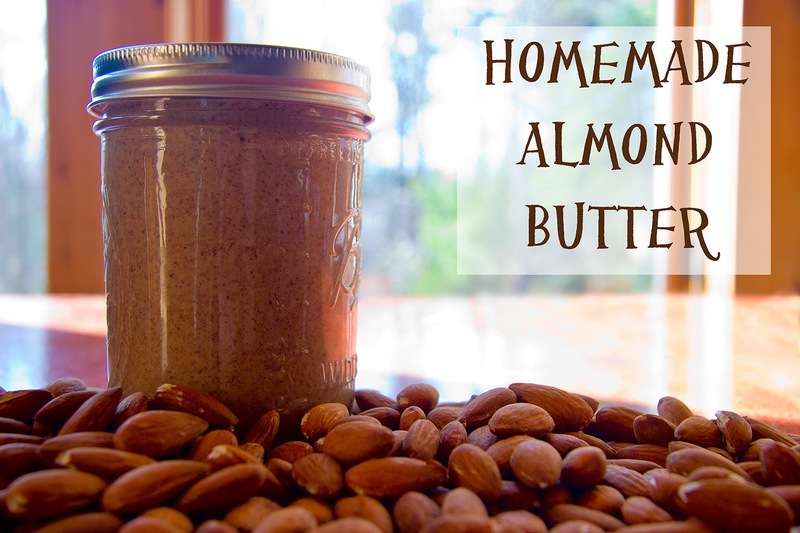 Homemade nut butter. I mean, that even sounds delicious, doesn’t it? This is specifically about how to make almond butter, but the directions are exactly the same for any nut butter. Why make it yourself? Well, it’s cheaper, for one thing. A LOT cheaper. A quick check shows me that I can get organic almond butter for about $20 a pound. 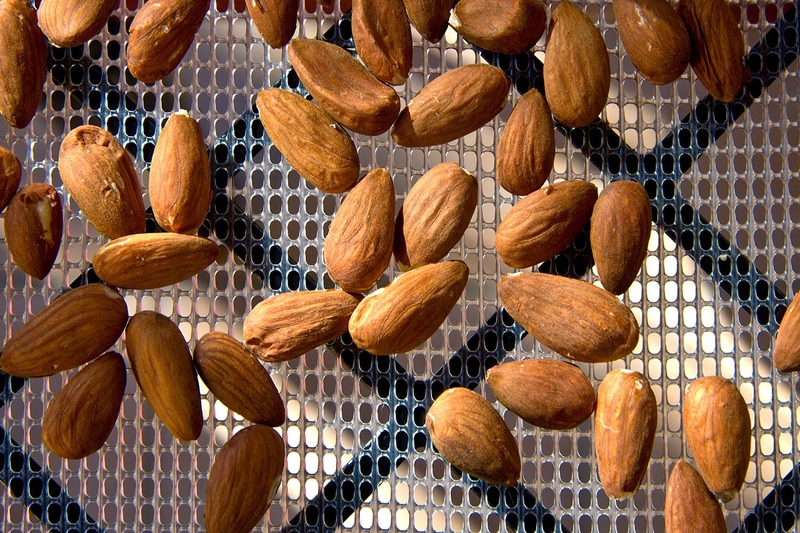 Organic almonds cost me about $8 a pound at the health food store, or about $5 a pound through my wholesale food co-op. That’s a heck of a price differential. Of course, if you are growing your own nuts, it’s even cheaper. Then it costs only the electricity to make. Other reasons include; I know exactly what is in it, I waste absolutely no packaging (I re-use a mason jar, and we use refillable containers at the health food store), and the fresher the grind, the more nutrients rich it is. I make mine up a pint at a time, and leave it in the refrigerator. It lasts us anywhere from a week to a month, depending on what I’m making with it. Let’s get down to the nitty gritty, shall we? I soak my nuts ahead of time. You do not have to, but it makes the finished product smoother, and more digestible. I soak them for about 12 hours in my largest bowl, and then rinse them repeatedly until the water runs clear. You cannot make nut butter from wet nuts. It simply will not happen. It grinds to flour, and stays there. Trust me. After the nuts are soaked and rinsed, I spread them out on the dehydrator trays, and let them dehydrate at 135 degrees for about 16 hours. It sounds like a lot, I know, but they have to be really really dry. The extra drying time also serves as a low-temperature slow roast, and adds a lot of flavor to the finished butter. If this sounds like a lot of time to invest, it is. I do the soaking and dehydrating in large batches, about five pounds or so. This makes it worth the time, as I only have to do it every few months. I store the soaked and dehydrated nuts in the refrigerator, or in the freezer. Once they have been soaked, they are far more prone to spoilage. Once you have your nuts all dry, you throw them into your food processor. If you do not want to soak your nuts, you would start with this step. Horse power counts here, if you have an underpowered machine (like those intended only for baby food), you may kill it. You have been warned. Close the lid, and turn it on. Then you make a pot of coffee. I’m not kidding. This takes a while, usually about ten minutes. It will go through stages. First, it sounds like you are grinding rocks, and the almonds will break down into finer and finer powder. Then, it just looks like you aren’t making any progress, the powder (which is almond flour at this point) just kind goes round and round. Then after a couple of minutes, it starts to clump together. More and more of it sticks to itself, until it forms a giant ball of nut butter that goes round and round in the food processor. DO NOT STOP GRINDING. It actually isn’t ready yet. Eventually, the big ball starts to spread out, and becomes smoother and smoother. At this point, you can start checking it. I like mine really quite smooth, so I let it go until it stops making any difference in texture. You can add a little salt to it, but I don't. Turn the food processor off, and scrape the nut butter into a clean pint jar. I like to use a canning funnel for this step, because I am a klutz. Do you know how hard it is to get almond butter off the rim of a glass jar without getting soap in it? Yeah. Put the lid on the jar, screw it finger tight, and store the nut butter in the refrigerator. You will have to stir it before using it, as it separates. Depending on how well you scrape down your food processor, one pound of nuts should equal about one pint of nut butter. There may even be just a little left over for spreading on a piece of toast. Yum.